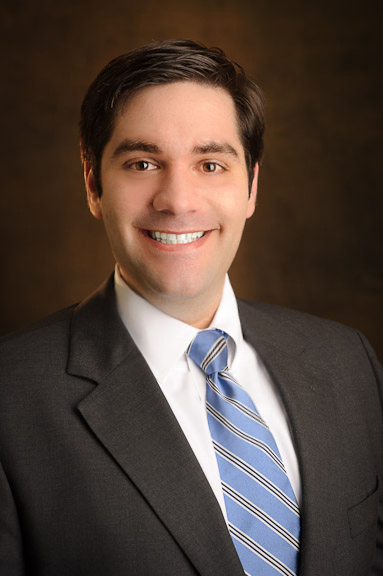 James P. Ferraro has been practicing law in the Treasure Coast and Palm Beach County since 2010. He attended the University of Florida, where he earned a Bachelor of Arts Degree in Political Science. Following graduation, James studied law at Stetson University College of Law, where he excelled in his legal studies. James was a member of the Stetson Law Review, a member of the Moot Court Advocacy Board, and a member of the Phillip C. Jessup International Law Moot Court Team. James earned the highest grades in his first and second-year legal research and writing classes and served as a teaching fellow in Stetson’s prestigious Legal Research and Writing Department. While in law school, James was a Summer Associate at Searcy Denney Scarola Barnhart & Shipley PA, West Palm Beach, where he assisted with a wide range of personal injury and general litigation matters; he also held a summer judicial clerkship at the Fourth District Court of Appeal, working directly for Judges Martha Warner and Larry Klein. Upon joining The Florida Bar, James has practiced primarily family law, as well as civil, real estate, and financial services litigation. He regularly handles high net‑worth divorce cases and has extensive trial experience having handled hundreds of trials throughout Palm Beach County and the Treasure Coast in the financial services industry. Since 2013, James has maintained the highest possible rating of AV-Preeminent by Martindale-Hubbell, which includes both peer and client ratings, as well as ratings by members of the judiciary before whom he practices. James routinely litigates and tries cases related to complex financial and family disputes including those associated with dissolutions of marriage, equitable distribution, timesharing and parental responsibility, and business valuations. In addition to his membership in the Florida bar, James is also admitted to the United States District Court for the Southern District of Florida and the United States District Court for the Northern District of Florida.